There is some confusion around the world whenever people hear about kung fu (or gong fu) tea. Some think it refers to the performance of tea servers in restaurants when pouring tea from elaborate teapots with long spouts. Others believe the name implies the actual act of brewing an exceptional quality tea by masters of the art that the name implies. In actuality, the kung fu tea ceremony involves both the ritual preparation and the actual presentation of tea. The more complete meaning of kung fu tea includes the knowledge of all aspects of tea. It’s entirely possible to brew in the “kung fu style”, but not actually be a true practitioner of kung fu tea. Kung fu tea is traditionally prepared by making multiple infusions of the same tea in a small teapot. This method of brewing is generally recognized as having originated during the Song Dynasty in Chaozhou, located in eastern Guangdong province. The actual brewing style of kung fu tea can vary greatly between tea masters, depending on the different areas of knowledge that each one focuses on and their philosophies. The actual method of brewing, or the complexity of a particular brewing method, are not valid measurements of what a true kung fu tea practitioner would be. The final determination is actually in the tea itself. The ‘traditional’ method involved in the Chaozhou version of making kung fu tea is based on an emphasis on pre-heating the cup with boiling water, using a high ratio of tea to water, using small pots and cups, and short periods of repeated infusions. Many kung fu tea practitioners decide to go even beyond just the taste and smell of experiencing their teas. They extend the experience by allowing the effect of their tea to extend to their spirit and mood so they can better understand the complexity behind each of their tea’s special effects on the body. In modern times, the kung fu tea ceremony is popularly used by teashops that carry tea from different Chinese areas and from connoisseurs of finer teas who specialize in maximizing the taste and enjoyment of their tea selection. The term, Kung fu, reminds most people who hear it of the fighting martial arts sport. 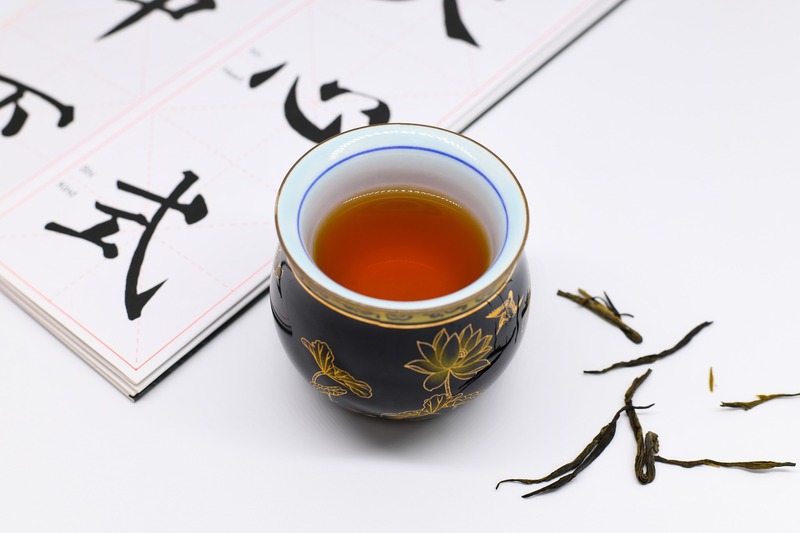 However, the most basic meaning of the words is related to the Chinese words for “art”, “skill”, and “effort.” Therefore, in the context of tea preparation, Kung fu means brewing tea with more effort and dedication so that a perfect cup of tea is created in a more artistic way. Like Kung Fu as a type of Martial Arts, kung fu tea also focuses on the spirit and ideology behind it, which is how to become a better moral person. This can be reached consciousness in movement and focusing oneself only on the brewing of tea. This process is for you to become aware of the tea energy, or ‘cha qi’ so that the tea is properly experienced. In addition to the aroma, taste, and appearance of the tea, it should also affect one’s mind and body. Attention to the making of classic tea has been a Chinese tradition for thousands of years. All teas, whether it is loose, coarse, or powdered, have long existed along with the compressed form accepted for imperial use. By the time the 14th century ended, loose tea had become quite popular throughout the nation, and when the Ming era began, loose tea was accepted for imperial usage. During the same period, the related teaware consisting of the teapot and later the lidded cup began to evolve. Essentially, the concept of kung fu tea requires that it serve two purposes. It should taste good, and it should be satisfying to the soul. The tea masters in China and the surrounding Asian tea cultures have studied for many years to perfect this method of preparing and enjoying tea. But the method alone doesn’t determine whether an outstanding tea will be produced. Water chemistry and processing the tea at the proper temperature are both key concepts that must be taken into consideration. If the water used in preparing kung fu tea tastes or smells bad, it will obviously affect the quality of the brewed tea. However, tea masters also refuse to use soft water as well because it lacks the proper minerals necessary to create the flavor of the tea that they expect. Using soft water that doesn’t contain these necessary minerals will result in a “flat” tasting tea. Most tea masters will look for a good, clean local source of spring water. When a natural spring is not close by, high quality bottled spring water can be used successfully. However, be aware that spring water with high mineral content should also be avoided and that hard water should be filtered properly. The water temperature can be determined either by timing or by paying attention to the size and the sizzling sounds made by listening to the air bubbles inside the kettle. At 75–85 °C／167–185°F, the bubbles which are formed are called “crab eyes”. They will be a diameter of approximately 3 mm and the boiling water will make loud, rapid sizzling sounds. At 90–95 °C／194–203°F, the bubbles will have enlarged to a diameter of around 8 mm and will be accompanied by sizzling sounds that occur less frequently along with a lower sizzling sound. These are called “fish eyes”. Note that when the water boils, you will not see any air bubbles or hear any sizzling sounds. Also remember that when brewing at high altitudes, water will boil at a lower temperature, so the rules above must be modified to take this into consideration. Usually, mostly oolong, or pu erh and a few black teas are prepared in the king fu way in China. This is because these particular teas are known to taste better when used in the ceremony. Other teas can be brewed in this manner, but kung fu tea extends beyond just tea tasting. It is also the performance of the art and connecting with one’s body and mind. As more practitioners of the art can afford good tea than ever before, the art of steeping tea properly is flourishing and much experimentation and development is happening with brewing green and white teas also in the kung fu way. Cha ze. (a small teaspoon use to removed the older leaves from the teapot. Kung fu teapots will often have a small opening for this. Incense will often be burned prior to the ceremony so that the spirituality of the tea session will be enhanced. While the incense slowly burns, you should begin to feel more calm and relaxed. This will be an excellent moment to understand how grateful you and the others are that your ancestors have passed down the cultural tea heritage you are today experiencing. The tea will normally be kept in a sealed jar that compliments the ceremony. In beginning the ceremony, a special spoon is used by the artist to gently pull the tea leaves from within the jar. The leaves are then placed on a plate and then presented for each of the guests to view. By observing and enjoying the aroma of the dry leaves, the guests can appreciate the tea more fully. An attractive purple Yixing clay teapot will often be used during the ceremony. This type of teapot was originally invented by a famous 17th Century potter, Shi Da Bin. It is recommended that the teapot is heated over glowing hot charcoal whenever possible. The artist will pour the hot water onto the outside of the teapot and then on the inside and inside the bowl itself in a circular motion to clean and preheat everything. Pour from no higher than 2-3 inches above the pot to avoid cooling the water. Turn the cups in the hot water behind the teapot using two fingers. It is recommended that you touch only the outside walls of each cup as touching or holding the inside of a cup is seen as a possible mistake. Discard the water completely when you’re done. Fill up the teapot so it is about 4/5 full of tea leaves when you are preparing Dancong or Da Hong Pao teas. This might seem like too much, but unlike Tieguanyin oolong tea, the Da Hong Pao tea leaves aren’t quite as tightly packed and will, therefore, take up a large amount of space when they have become dry. 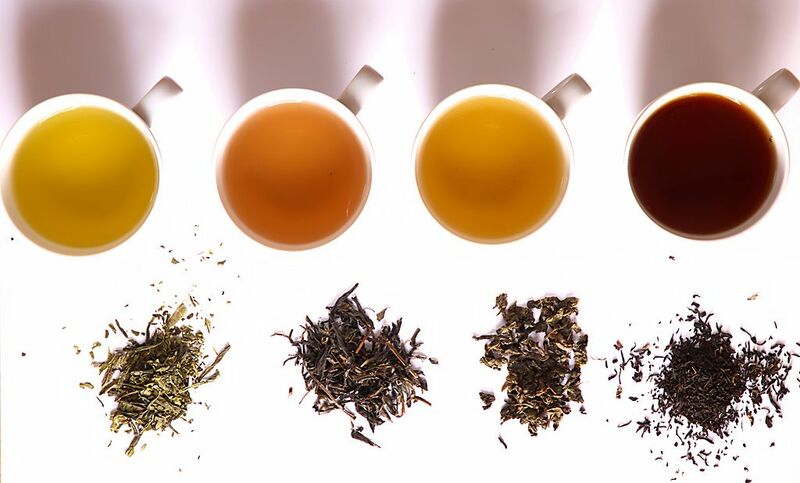 For most other teas, around 8 grams are sufficient for brewing. During the tea ceremony, hot water is usually boiled in an iron tea kettle. After the water begins to boil, lift the kettle up and aim the spout toward the rim of the teapot. Pour the boiling water into the teapot until the water is at the top. This step is designed to moisten the tea leaves and wash them thoroughly. Use the lid of your teapot to carefully scrape the bubbles away, and then replace the teapot lid. All of your movements should be gentle as if you were a spring breeze carefully stroking the face of a loved one. Do not worry if a slight amount of foam is deposited on the edge of the teapot. This is a natural occurrence due to the tea leaves coming in to direct contact with the hot water. Pour freshly boiled water once again onto the just-washed tea leaves until the pot is filled to the brim. Put the lid back on, and then pour hot, boiling water over the outside of the teapot so that it is clean and is warm to the touch. The steeping time will be a little different for each type of tea. Since gongfu sessions will usually have a higher leaf-to-water ratio, steeping can take as short as only a few seconds. Oolong tea leaves are quite large, and therefore brewing them in a small pot will result in a tea liquor that is intensely fragrant and flavorful. Once the tea is ready, carefully begin draining it into a fairness pitcher to make sure that all of the cups you serve will be identical and taste exactly the same. In addition to normal drinking cups, you may also have “fragrance-smelling cups”. These are used by some tea connoisseurs to enjoy the tea’s lingering aroma. Carefully pour the tea from the fairness pitcher quickly and evenly into each fragrance-smelling cup. When there’s just a very small amount of tea remaining inside the pitcher, the remaining drops should be poured equally into each fragrance-smelling cup. Then, cover each of the cups. Serve each of your guests a teacup full of tea along with a fragrance-smelling cup inside (placed in an upside-down position). Lift each of the fragrance-smelling cups up and roll its rim carefully against the teacup rim so that the drips are wiped away. Hold each cup with two hands and raise it toward your nose to enjoy the intensified tea aroma. Explain to each guest that their teacup should be held steadily and elegantly. Carefully place your thumb and your index finger on the cup and lift it while your middle finger steadily holds the bottom section securely. The tea liquor color of Da Hong Pao is dark orange. However, with some teacups, the liquor’s color can sometimes be different around the rim and bottom of the teacup. Take three separate sips of the tea to allow the liquor to slowly flow around the inside of your mouth. Savor the flavor, and then pour the tea that remains into the tea tray. Enjoy the tea’s flavorful aroma and delightful aftertaste. Pause for a second and smell the aroma that still remains in the bottom of the teacup. Repeat steps 8 through 16 until every bit of the flavor has been extracted from the tea leaves. Take a moment to taste the infusion, noting that there may be some slight differences when compared to the earlier round. Thank each guest for the pleasure of attending the ceremony. If you would like to offer a second type of tea for the same guests to taste, wait for about a half-hour. During this time, it might be a good idea to serve a few tea snacks or similar finger foods while you prepare the tea. You can then bring in either a second set of accouterments or wash the original ones with hot water and dry them for the next tea service. Kung fu means the art of doing something well. In explaining the tea ceremony above, remember that time, dedication and the effort you take will always produce an ultimate and beautiful tea experience. Enjoy!